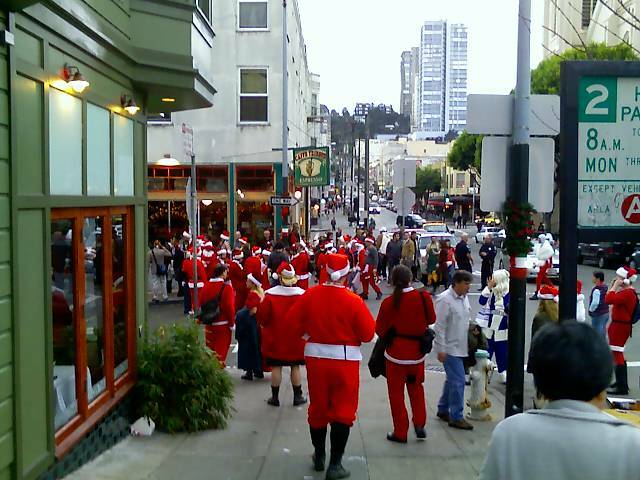 Already tired of the holiday season, Santa's from all over the world decided to take the day off and spend it in North Beach. This is why I love this city...where else could you see Santa's drunk and singing Naughty By Nature tunes at 3 p.m.
did you see marcus? that is his favorite event.